*In case of a rainout, we thank you for your donation and look forward to seeing you at the luncheon! As United Way of Central Georgia became aware of the critical shortage of funding for local women who need to undergo mammograms, we stepped up to fill this void in our area. We created Pink Promise United which provides mammogram screenings and readings for local women with the fewest resources - women who are underinsured, uninsured, low income, or unable to access care. Breast cancer awareness and education are also provided: early detection is key for saving lives. 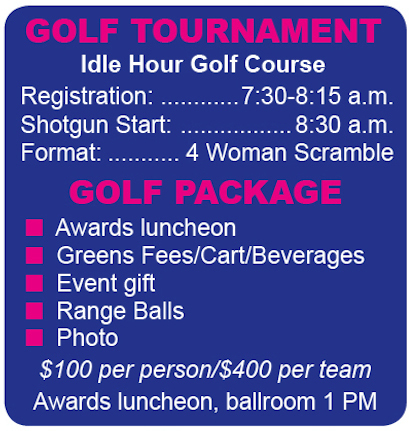 To help fund the Pink Promise we have made to our community, the ACE Ladies' Classic was developed. 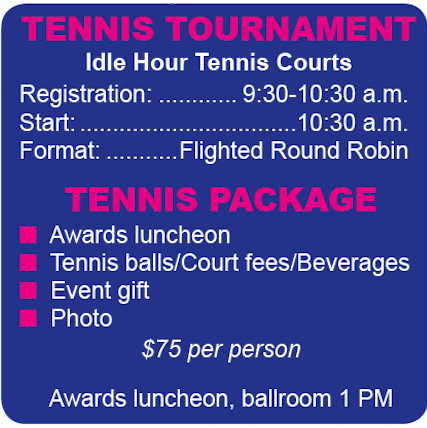 ACE is a term used in all three events. 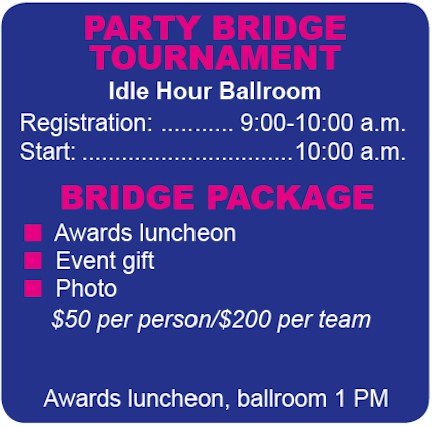 This is a ladies' 3-events-in-1 tournament, offering a choice of golf, tennis, or bridge to participants. Please join us in supporting this important women's health issue by becoming involved with Pink Promise United. Together, we can make a difference!